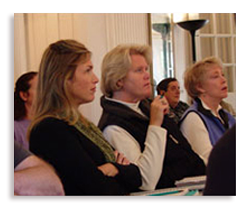 Fundamentals of Structural Thinking (FST) – Robert Fritz Inc.
Our Flagship course the Fundamentals of Structural Thinking (FST) will be offered in June, 2019, at the Fritz Conference Center in Newfane, Vermont, and in Tokyo, Japan, in September, 2019. This is a course especially designed for consultants, coaches, managers, and those in the helping professions. Below is a 30 minute video with excerpts from the 2017 FST in Vienna, Austria. This serves as a good introduction to some of the unique principles of structural dynamics. This, our introductory program to Structural Consulting is taught by Robert and Rosalind Fritz over an exciting four days. During the training you will learn new thinking techniques, understand the major principles of Structural dynamics, practice the rigor, and engage in exhilarating exercises with other participants. You will learn Robert Fritz's technique for Digital Decision Making which will enable you to discern enigmatic situations with a clarity that is laser-like and potent. This program is especially suited to consultants, trainers, executive and personal coaches, human resources professionals and OD professionals. If you are someone who is intellectually curious, generative, wanting to grow and supportive of others then this program is for you. Robert will be using a variety of visual material (DVD/video/movie clips) to illustrate learning points as well as giving you original techniques and exercises so that you will have a hands-on experience of using these skills effectively. Rosalind will coach you as you learn how to understand the structural implications and relationships that lead to targeted exploratory questions.